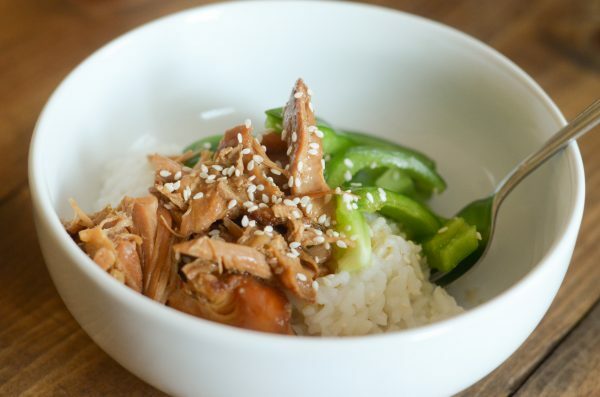 Make dinner quickly and make it last with Slow Cooker Teriyaki Chicken! 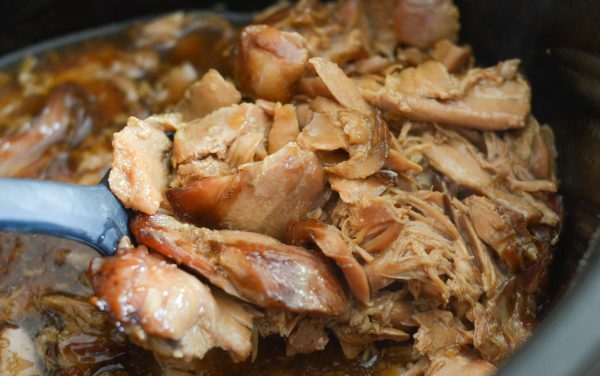 As we headed back to school, I quickly realized that at least 3-4x a week we are going to have to use the slow cooker for dinner otherwise it will have to be a leftover night or a fast food night. I try to avoid fast food as much as possible. It’s not always good for you and it’s a budget buster with a family to feed. That means most of the time if it’s between fast food and leftovers, we end up with leftovers. I’m making a valid attempt to really plan ahead and utilize the slow cooker so that means that I’ve been trying several recipes with it lately. 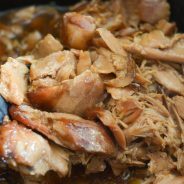 I’d love to hear some of your favorite slow cooker recipes? We love soups but it’s still been a little chilly for those just yet. 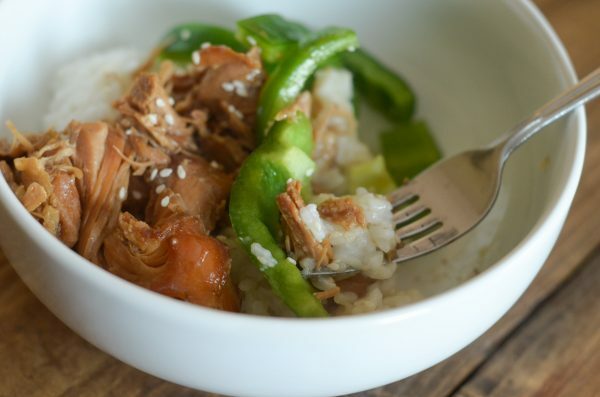 In the meantime, I decided to make Slow Cooker Teriyaki Chicken. This was so delicious and I love that it’s versatile. 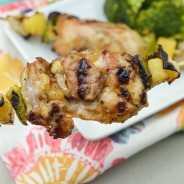 It can be used over some rice and green beans or as is or just topped over a salad. There are really so many ways to use it. I was even able to freeze some, which is another option for busy nights, utilizing freezer meals too. I made our own teriyaki sauce that I use regularly for grilled chicken and simply poured it over chicken thighs. After 8 hours of slow cooking, it simply fell apart and made it super tender, delicious chicken. If you have bone-in chicken it will fall right off the bone. 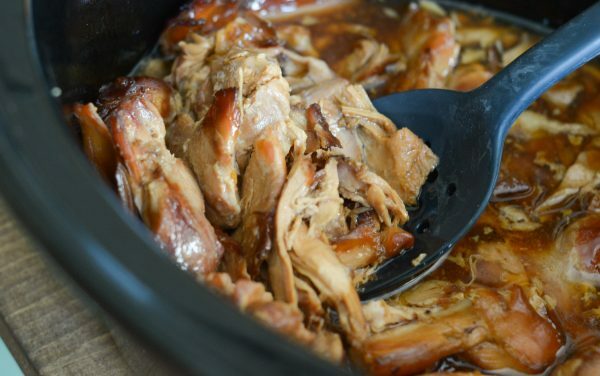 Now, this will be one of the recipes on my list for those nights we need to use the slow cooker. I have a few others on my list to try too and hopefully I can win my family over again with roast as well. I’m thinking of a delicious sweet and sour chicken too and some stuffed peppers? Those sound good to me! Enjoy & Pin it for Later! 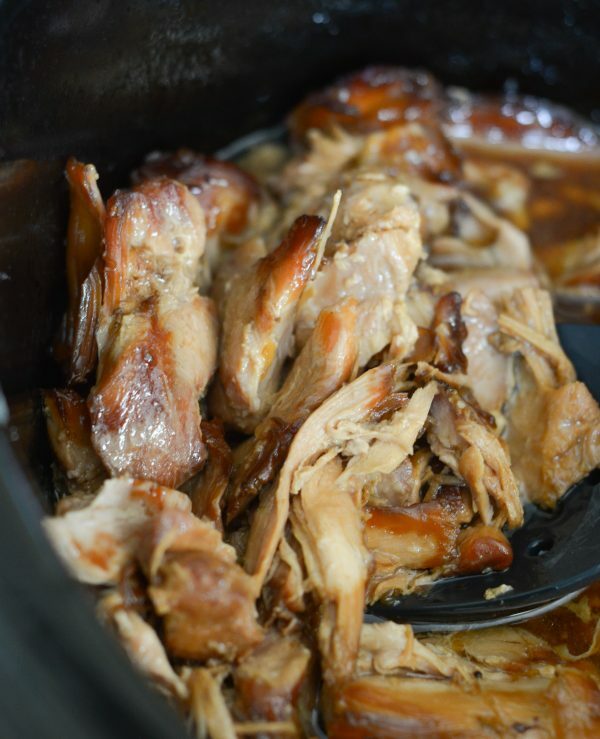 Place the chicken on the bottom of a 6 quart slow cooker. Combine all ingredients remaining into a small mixing bowl, except the Cornstarch, this will be used at the end. Pour the sauce evenly over the chicken, cover and cook on low for 8 hours. About 30 minutes before serving, add in the cornstarch, stir and let cook for an additional 30 minutes to thicken up the sauce. Serve over rice or as is with your choice of sides. For us, it’s Monday night horror. Just kidding, it’s not horror, but it’s definitely close. I always search for crockpot meals for this day. I’m going to add this to my list. 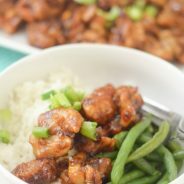 I normally don’t care for teriyaki (mostly because I got tired of it, the hubby loves it), but this recipe is so unique and different than the recipes I usually make, this will definitely go into my to make list. It’d go perfect with my Japanese fried rice. It’d be easy to put together within 10 minutes of getting home if I precook the rice. Thanks so much for sharing! Yes, it would be perfect over that!